When I speak of liberalism, I speak of that political system that allows societies to modernize, to incorporate the demands of society, to mitigate conflicts through negotiation and even to make them a factor of progress. It does not renounce the legitimate use of force when necessary, but sets limits and conditions for it. It lives in an always unstable equilibrium, it allows debate on its own nature, it does not persecute those who question it, although neither does it give in easily. The European Union symbolizes this liberalism better than any country on its own. 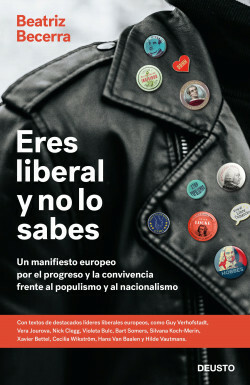 Europe is prepared for a liberal revolution of the 21st century, one that is pro-European and open-minded, in the face of protectionism, populism, nationalism and Europhobia, and the exhausted dual model of conservatives and socialists. Millions of Europeans do not fear an open and strong society, at the center of the political spectrum and they defend an efficient liberal democracy cable of overcoming outdated models. A European manifesto to guarantee progress, prosperity and the construction of a space of common coexistence.